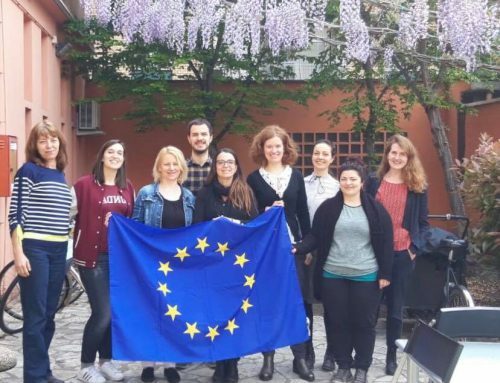 Digital Tourism Erasmus + Project has started, the new project look into the Industry 4.0 Revolution aiming to develop students & teachers new digital tourism skills & increase labour mobility opportunities. 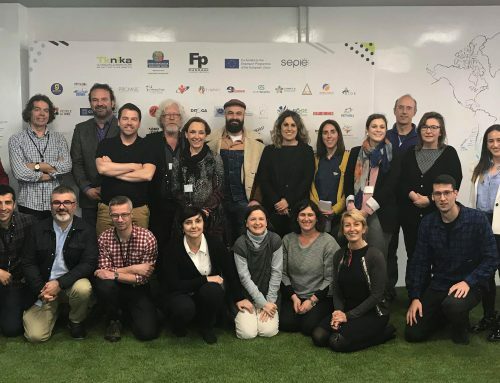 The first kick-off meeting was hosted by the project coordinador EfVET Member Insignare – Associacao De Ensino E Formacao, in Ourem, Portugal. The partnerships is compose by: Istituto tecnico commerciale statale f. scarpellini (Italy), European grants international academy srl, (Italy), ACISO – Associacao Empresarial Ourem Fatimap, (Portugal), Stichting groen onderwijs oost Nederland (The Netherlands) Stichting Dutch Foundation of innovation welfare 2 work (The Netherlands), Centro de formacion de administracion y hosteleria sl, (Spain) and EfVET. Partners will dedicate the next years two years to the design and construction of this future theme: digital tourism. 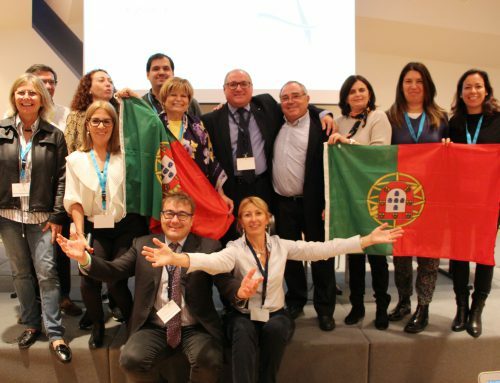 This project develops a new qualification for one of Europe’s and World’s highest growing sectors, Tourism. This qualification mixes both Tourism and IT skills, meeting the market new trends of consumer choices, mostly online and through peer reviews. As it targets youth – 15/16 to 18/19 years old students- , it prepares them to work in several types of Hospitality organizations, both under traditional business models – DMCs-Destination Management Companies/ DMOs-Destination Management Organizations, GDS/Global Distribution Services, Hotels, Travel Agencies, Tourism Animation companies, national/regional/local Tourism Boards – and online/cloud business models, the digital travel market: from metasearch engines/fare aggregators, OTA-Online Travel Agencies or traditional Tourism companies that already work/ want to upgrade their work on the electronic sales channel-, with all types of Tourism products – Sun & Beach, Business, MICE, City Breaks, Golf, Nature, Cultural, Gastronomy, … , as they will be performing tasks on businesses B2B – Business to Business or B2C – Business to Consumer, as their job profile allows them to help creating/developing/promoting/selling online products, tangible or non-tangible, small or big, private or public, through a mix set of competences that go from Marketing to Geography, Psychology to IT, Arts to History, Photo to Video, National language to other European languages. The partnership will work to create a new qualification profile to cope with the impact of digital transformation on the tourism sector. 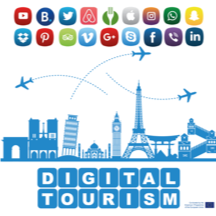 The Tourism is not immune to these changes and is a good example of changing digital habits in the experiences of the process. 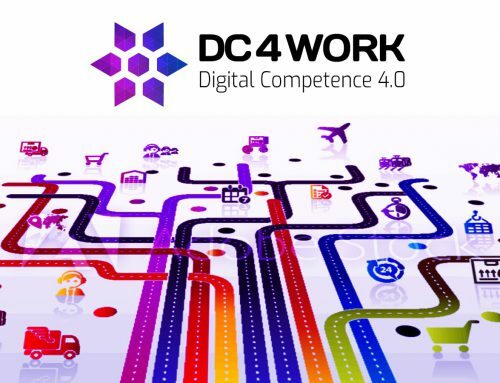 The project will provide professional knowledge and skills targeting promotional and marketing strategies based on IT (e-tourism), as digital services raise companies’ profile on generating economic development. Students will also be mobile, as the course will be designed to be implemented in international companies; it will also include long term WBL, with a minimum of three months. Provide professional knowledge and skills targeting promotional and marketing strategies based on IT (e-tourism). Reduce seasonality in the Tourism job market. Increase the level of online tourism promotion & interactivity within B2B and B2C in Tourism sectors. Increase labour mobility among recent graduates. Digital services allow a company to become a place where technological innovation generates cultural, social and economic development. Digital tools have so far become a fundamental tile to this purpose, and they are more and more consistently present in the educational paths.